Hollywood legend Debbie Reynolds has died a day after the death of her daughter, Carrie Fisher. Debbie Reynolds was best known for starring opposite Gene Kelly in the 1952 musical Singin’ in the Rain. The 84-year-old actress had been rushed to hospital with a suspected stroke. Debbie Reynolds’ son, Todd Fisher, said the stress of Carrie’s death had been too much for her and in her last words, she had said she wanted to be with her daughter. She had been at her son’s house in Beverly Hills – apparently discussing the arrangements for Carrie Fisher’s funeral – when she was taken ill.
Debbie Reynolds was admitted to Cedars-Sinai Medical Centre suffering from breathing difficulties and her death was confirmed a few hours later. It is thought she suffered a stroke. Carrie Fisher, renowned for her role as Princess Leia in the Star Wars series, had died at the age of 60 the day before, after spending three days in a LA hospital. The actress never regained consciousness after suffering a massive heart attack on board a flight from London to Los Angeles on Christmas Eve. Debbie Reynolds was leading lady in a succession of major Hollywood musicals and comedies in the 1950s and 60s. 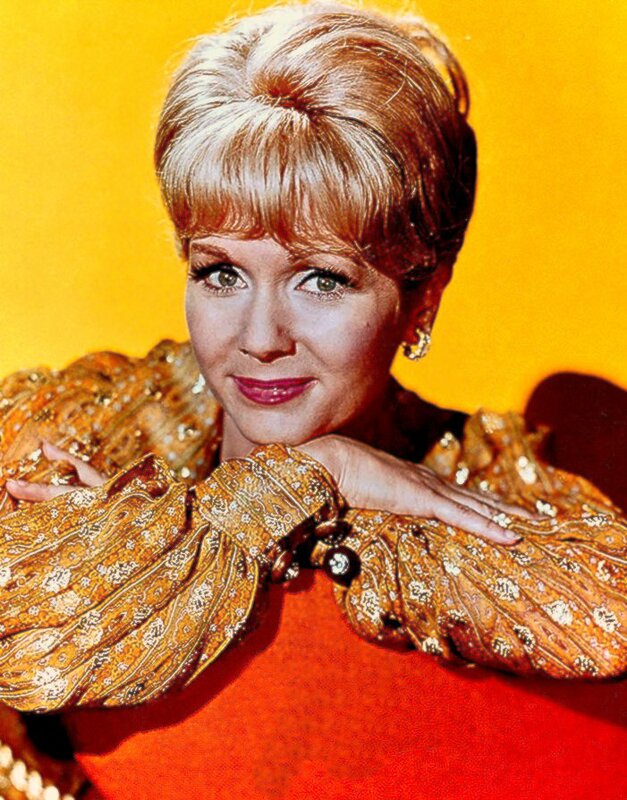 Debbie Reynolds received a best actress Academy Award nomination for the 1964 musical The Unsinkable Molly Brown. In 2015, Debbie Reynolds she was given a lifetime achievement award by the Screen Actors Guild. The award was presented to her by Carrie Fisher. She married singer Eddie Fisher in 1955 and had two children, Carrie and Todd. The couple divorced in 1959 after news emerged of his affair with movie star Elizabeth Taylor. Debbie Reynolds married twice more. She had a sometimes strained relationship with Carrie Fisher, who wrote about it in her semi-autobiographical novel Postcards from the Edge. Debbie Reynolds and Carrie Fisher stopped speaking to each other for many years but became closer later in life.